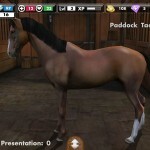 Tags: Arcade, Fun, Horse breeding, Horse competitions, Horse racing, Horse racing, Pegasus, Realistic, Trivia. 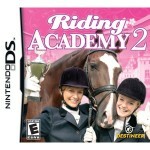 Guilty fun for anyone who loves to race horses! Though the app is pretty basic in its graphics and in functions, it’s easy and fun to play the game. It focuses purely on racing, and it reminds me of old school arcade video games, where you just press some buttons to play. When the app first opens, there is a long process of entering your email and creating a new username, password and nickname. I don’t see why this is necessary. I spent a long time inputting all the info while listening to really annoying music on a loop. I almost left the game. 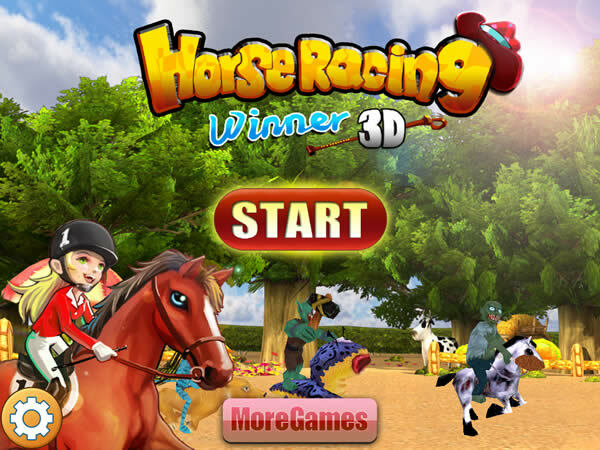 Once you finally get into the real game, you get to choose a horse. 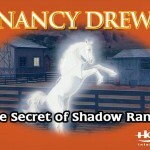 But unless you want to spend real coin, you get a horse with no power, no speed and no stamina. It’s funny if you do check out the better horses. You can buy a Pegasus flying horse or a T-Rex dinosaur as options. I just went with the basic horse. Then, you go straight into the horse race. 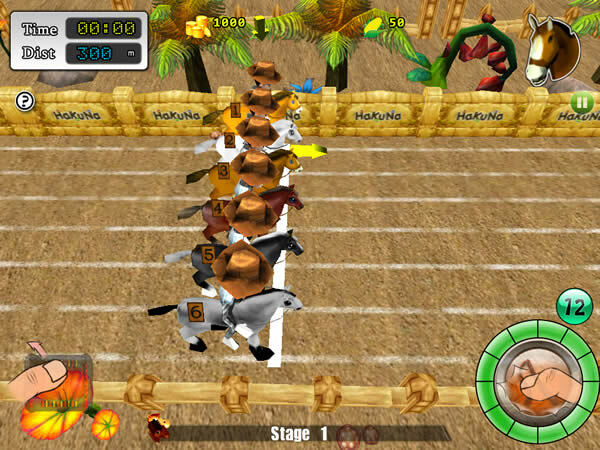 You press the whip button at the bottom of the screen over and over to make your horse run, while you slide another button to move your horse across the lanes. 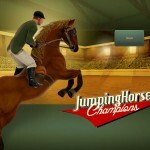 Since my horse had low stats for speed and what not, I didn’t win. But pressing the buttons as fast as possible was fun. 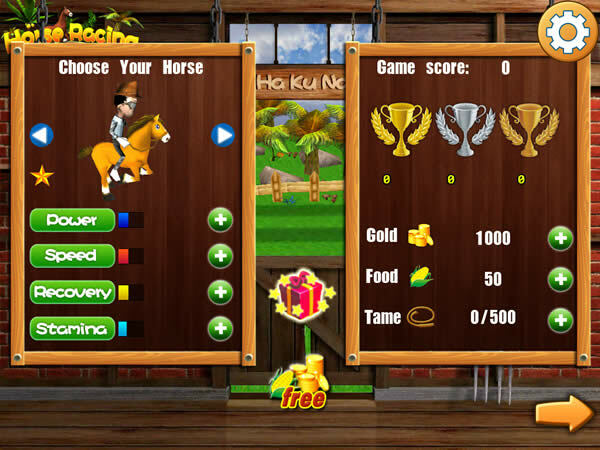 Before I raced again, I was given options for ways to get free coins for a better horse. I could “Like” their game on Facebook, review their app, share with friends and more. This must be the reason why the app has so many reviews on the app store. I played a few trivia questions for some coins. Some questions where about horses, like “Heavy or draft horses are usually at least ___ hands high,” and some about US history. I got a few right, but it wasn’t enough to buy a better horse. The overall game experience was just okay. It takes too long to sign up, and then you can’t do anything without spending money. 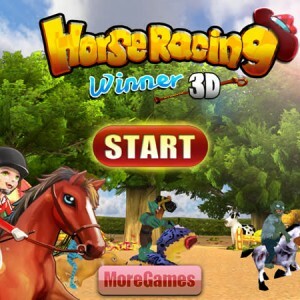 Horse Racing Winner 3D feels like a free app with constant ads. But if you want a quick race, you’ll like this game. it is a fun game for all ages.i think everybody should play this game.